Judgement and Christmas are two things that normally don’t go together. But those two things were brought together for me by two recent events. The first of these was when I served on jury duty. I learned so much during that time. For example, when a criminal case comes before a court, there is a partnership between the judge and the jury. The judge is the sole interpreter of the law, and the jury must apply the law as the judge interprets it to them. But the jury is the sole interpreter of the evidence, it is the collective determination of 12 ordinary people that counts. No one can trump the jury’s determination regarding the evidence that is presented in the courtroom. But for the prisoner, the court case is not a time of learning. It is a time of judgment. One of the first things that the judge does is instruct the sheriff guarding the prisoner to put the prisoner in the charge of the jury. And the prisoner’s life is in the hands of twelve people he doesn’t even know. We have this season called Christmas. And it is supposed to be a time of celebration and goodwill, but the way that much of the world celebrates Christmas can bring judgment for other people. For some people, Christmas brings a judgment of shame, like my encounter with the clerk at the postal counter, as people are ashamed of their lack of resources because they can’t celebrate Christmas like their friends and neighbours do. For other, Christmas brings a judgment of debt, as they go beyond the resources God has given them and pile up a mountain of debt that will take months to overcome. For others, Christmas brings a judgment of grief as they look around the table at their Christmas family gathering and remember the loved one who is not there. And this is the first Christmas without them. This coming together of Christmas and judgment can have personal implications for us too, for the way that we celebrate Christmas can bring God’s judgment to us. Family and gifts, food and friends are all good things and a big part of most Christmas time get-togethers. But it is easy for those good things to become the most important things during this holiday time of year. Everyone gets their identity, their sense of being distinct and valuable, from somewhere or something. [Danish philosopher Soren] Kierkegaard asserts that human beings were made not only to believe in God is some general way, but to love him supremely, center their lives on him above anything else, and build their very identities on him. Anything other than this is sin. Most people think of sin primarily as “breaking divine rules,” but Kierkegaard knows that the very first of the Ten Commandments is to “have not other gods before me.” So, according to the Bible, the primary way to define sin is not just the doing of bad things, but the making of good things into ultimate things. It is seeking to establish a sense of self by making something else more central to your significance, purpose, and happiness than your relationship with God. Christmas was meant to be a time of celebration, but it will become a time of judgment for us when we take secondary matters and make them number one in our lives. The Good News of Christmas is that God did not turn his back on the broken people of this broken world. He came not only to save us. He also came to renew us. Like a gardener who wants to take a weed-infested vacant lot and turn it into a beautiful garden, God knelt down and got his hands dirty. Jesus involved himself in his creation, taking on our humanity, experiencing our heartaches, and suffering for the sins of the whole world so that he could recreate a new humanity that will live in fellowship and harmony with him forever. Are you grieving this Christmas season? Does this Christmas exacerbate the grief you are experiencing over the loss of a loved one? In Jesus, we have a God who knows what death is all about. As a toddler, Jesus and his parents had to flee to Egypt because King Herod the Great as trying to kill him. As a man of 33, during the rule of another Herod, Jesus let death come to him. Jesus died on the cross, but in his death, Jesus broke the power of death, because on the third day that followed Jesus rose from the dead. And as we trust Jesus, something amazing happens to us. Jesus’ death becomes our death. We died on that cross with Jesus. Jesus’ life becomes our life. We are a new creation (1 Co 5:17). And we continue as that new person with Jesus forever. Death can never take it away. And as we grieve for our loved ones, we entrust them into the arms of Jesus, for we know that he is loving and merciful. And where we see evidence of faith, with Jesus in our lives, we can look forward to a joyful reunion with our loved ones in the future. Christmas is a season of joy. But the joy that Jesus brings is not a temporary happiness brought on by a new toy or the latest electronic gadget or the consumption of copious amounts of Christmas food. The joy that Jesus brings is the always present awareness, no matter what our circumstances may be, that we have a God who loves us and who has made all things right between us and him, and he is also going to make all things right in every other aspect of our lives as well. And this Christmas joy is ours because God has come to us in the flesh. And there is more Christmas joy for us here today. 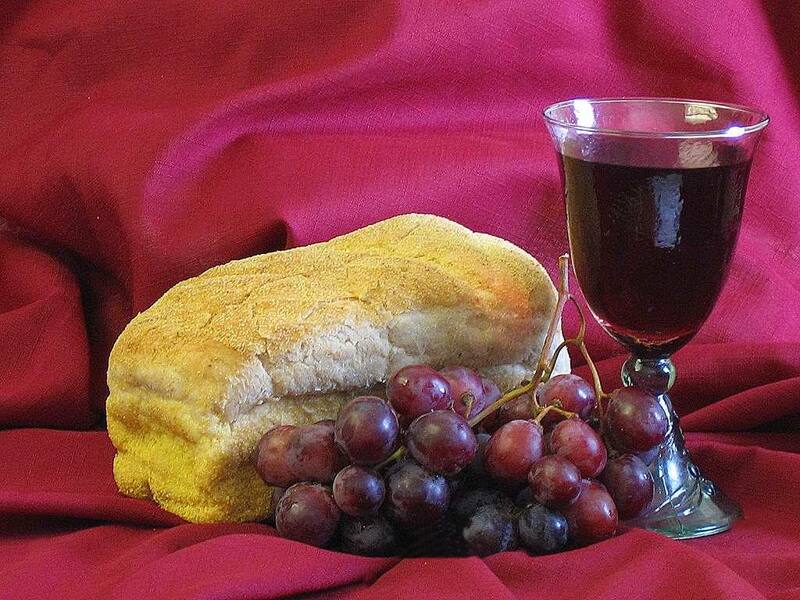 For on this altar, Jesus gives us his body and blood, wrapped in the humbleness of bread and wine. Jesus comes to us in this special meal so that we will know that he loves us, he is with us and he gives us life. That life shines in the darkness and the darkness will not overcome it. In the 1700’s, Jonathan Edwards wrote the famous sermon “Sinners in the Hands of an Angry God.” To use a court room analogy, God is judge and jury. He has weighed the evidence, found us guilty and in anger, according to Edwards, he is on the verge of sending to an eternity in hell. But the Christmas story in the Bible paints an entirely different picture of God. “Do not be afraid,” the angel said to the shepherds. “I bring you good news of great joy that will be for all the people. 11 Today in the town of David a Savior has been born to you; he is the Messiah, the Lord. 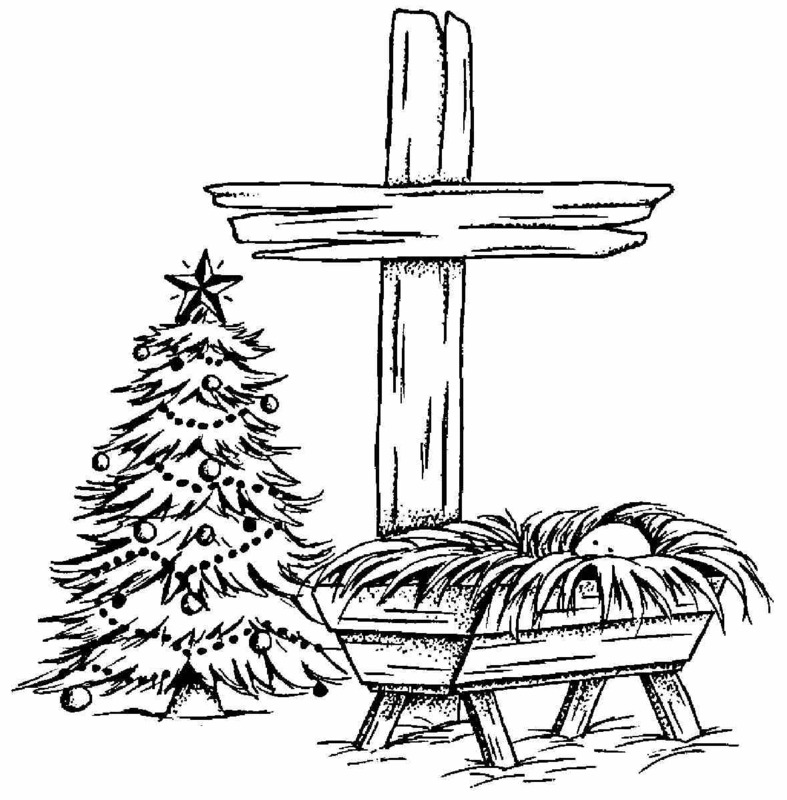 (Luke 2:10-11) The message of Christmas is this: Yes, we have a God who has weighed the evidence and found us guilty. But then he took our place in the prisoner’s box. And he opened the door and set us free. We are sinners in the hands of a loving God, and that is exactly the best place for us to be. Amen. Timothy Keller, The Reason for God: Belief in an Age of Skepticism (Penguin: New York, 2008), 168-9.